Wood, most recently EVP and group manager, has been at Ketchum since 2004. NEW YORK: Ketchum veteran Paul Wood has been promoted to director of the firm’s New York corporate practice. He stepped into the role on Wednesday, succeeding Tamara Norman, who was appointed to associate director of the firm’s New York office last June. Norman has been serving a dual role since her promotion, where she continued to handle directorial duties for the New York corporate practice. Reporting to Norman, Wood will work with the firm’s other corporate practice leaders across North America to build business and serve existing clients. The number of people he will oversee is to be determined. "I want to take this practice and accelerate its growth," he said. "I am focusing on enhancing the client services experience, expanding our digital integration with Ketchum digital colleagues, and launching new products and services." Wood has served at Ketchum in various roles since 2004, most recently holding the role of EVP and group manager in the firm’s New York corporate practice. While in that position, he supported some of the office’s largest clients, such as Michelin, BFGoodrich, MTL brands, and the New York Health Benefit Exchange. His prior responsibilities will be folded into his new role. 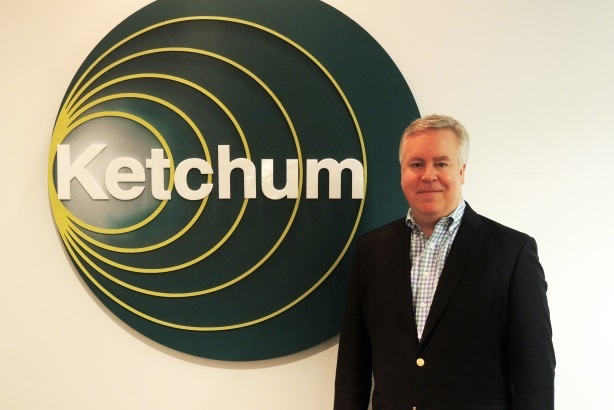 He began his tenure at the agency in business development before being named Ketchum’s first director of North America business development. Prior to Ketchum, Wood served as partner and MD for Paine PR, where he worked for nine years. Earlier in his career, he was VP and group manager at Burson-Marsteller, according to his LinkedIn profile. PR revenue for Omnicom Group – the holding company that owns Ketchum -- jumped 8.5% organically in the fourth quarter of last year, compared with Q4 2013. For full-year 2014, Omnicom’s PR group reported 4.1% organic growth to nearly $1.4 billion. The strong results in Omnicom’s PR sector reflect the "huge opportunity" of real-time marketing and the increasing tendency of clients to turn to PR firms for that work, Ketchum CEO Rob Flaherty told PRWeek, via email, earlier this month.